Have you ever bitten off more than you can chew and felt so overwhelmed with it all that you’ve been unable to function? More times than I care to admit, to be honest. And while I’m typically good at recognizing when I’ve taken on too much and finding ways to scale back so I don’t lose my mind, our impromptu move to a new home and neighborhood with only 6 weeks left in the school year left me so out-of-control busy in the 2 months leading up to the summer holidays that I felt like I would NEVER get a handle on all of the things I needed to do. A lot of the stuff was pretty basic – change the address on our bills, find a new pediatrician and dentist, call the cable company, unpack the million boxes in our basement, etc. – but there were a lot of more important things on my list that needed my undivided attention. With so many things pulling at me all day long, it was tempting to call a babysitter or plop her in front of her iPad so I could power through everything as quickly as possible, but if I’ve learned anything about motherhood, it’s the importance of being present with my daughter. I don’t want her memories of her childhood to involve me hovering over my laptop or smartphone, and while I’m not perfect, I like to think I do a pretty good job of ignoring work-related tasks when I’m spending time with my little girl. So a lot of the things on my never-ending list of things to do have fallen by the wayside in the last few months as I try to spend more quality time with my daughter as we make memories in our new home, and I feel surprisingly good about it. As it turns out, being perfect isn’t all it’s cracked up to be. Being enough is so much better. And with a new school year looming in the not-so-distant future, I’m trying to find ways the 2 of us can spend some good ‘ole quality time together in the few hours we share between school pickup and bedtime. In the past, I’ve put a lot of pressure on myself to come up with elaborate mom-and-me ideas, many of which resulted in someone (often me) crying, but time and experience have taught me that spending quality time with my daughter doesn’t need to be difficult, nor does it need to cost an arm and a leg. It just needs to be genuine. So if you’re looking for more ways to spend quality time with your kids, I’ve gathered together 75 fabulous and inexpensive ideas to help you connect with your children and make them feel like they’re the center of your universe every. single. day. 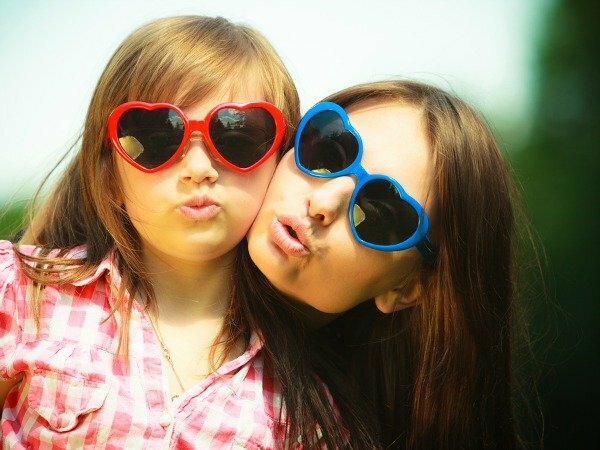 Remember: spending quality time with your kids doesn’t need to be difficult. It just needs to be fun. So put your smartphone down, get on the floor, and play with your children. You’ll be amazed at all of the things you’ll find out about them without the distractions of your email and social media pulling at you every 5 minutes! 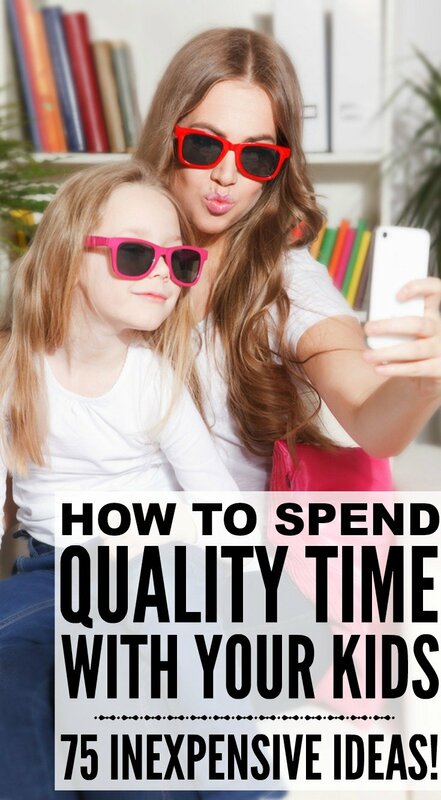 If you enjoyed this collection of ideas to teach you how to spend quality time with your kids without breaking the bank, please share it on Pinterest! And if you’re looking for more ways to have fun with your kids, please follow our Kids board on Pinterest!